These days, our youth have grown up in a 24/7 connected culture. They are the first generation of digital natives and the rapid growth of social media over the last decade has been a defining event of their generation. If we want to reach teens and pre-teens, we have to reach them where they already are. And they are online. Keep it Fresh and Shareable: Frame your conversations in ways that youth will want to hear about, and choose words that attract attention. Know what is happening in the news in your neighborhood and nationally, including in pop culture. Cultural events can be great context for drawing kids in to a conversation. Use Youth Talents: Youth are experts in social media—make the most of their skills. The most effective sites trained youth leaders, then handed them the creative keys while also maintaining a healthy balance between oversight and independence. Involving creative people, taking risks and being prepared to move at youths’ speed are all key to success in using social media. Interactivity is Important: Youths see the internet as a two-way street. They aren’t just consumers—they’re also producers. Your online strategy should invite teens to participate (create, like, comment, re-tweet or share). Layer Your Strategy: Combine your online tools with offline strategies. Your social media profiles should drive people to your events, and your events should drive people to your website and social media profiles. Host an event, workshop, poetry slam or contest, and include a component where teens have to go online to participate—to vote, enter a drawing, watch a video or read a blog. 62% of internet-using teens consume online news about current events and politics. 23% of teen girls go online to learn about sensitive health topics like drug use, sexual health or depression. When news of Chris Brown and Rihanna’s dating violence became public knowledge, Start Strong Boston surveyed local youth about it (including questions about who was to “blame”) and used social media to share the results. This created a youth-relevant dialog and engaged many youth online, through comments and shared content. When the Billboard lists came out each year, Start Strong Boston also used criteria they developed for judging how “healthy” songs are, and released a list of the top 10 healthy and unhealthy relationship songs of the year just before the Grammy awards. Their content spread quickly on social media and local media picked up the story. 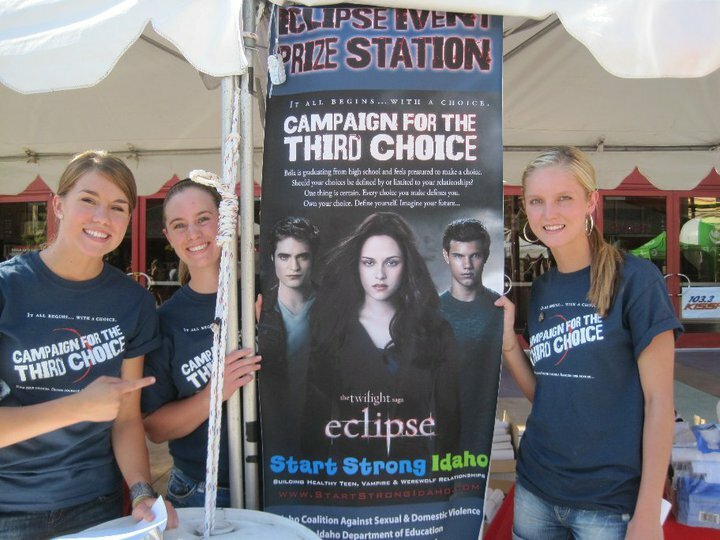 Start Strong Idaho used the release of the newest Twilight movie to start a conversation about whether the characters’ relationships were healthy. They passed out surveys at a midnight showing and built up a lot of interest for the issues. SafePlace (Start Strong Austin) – Where Do You Draw Your Digital Line?